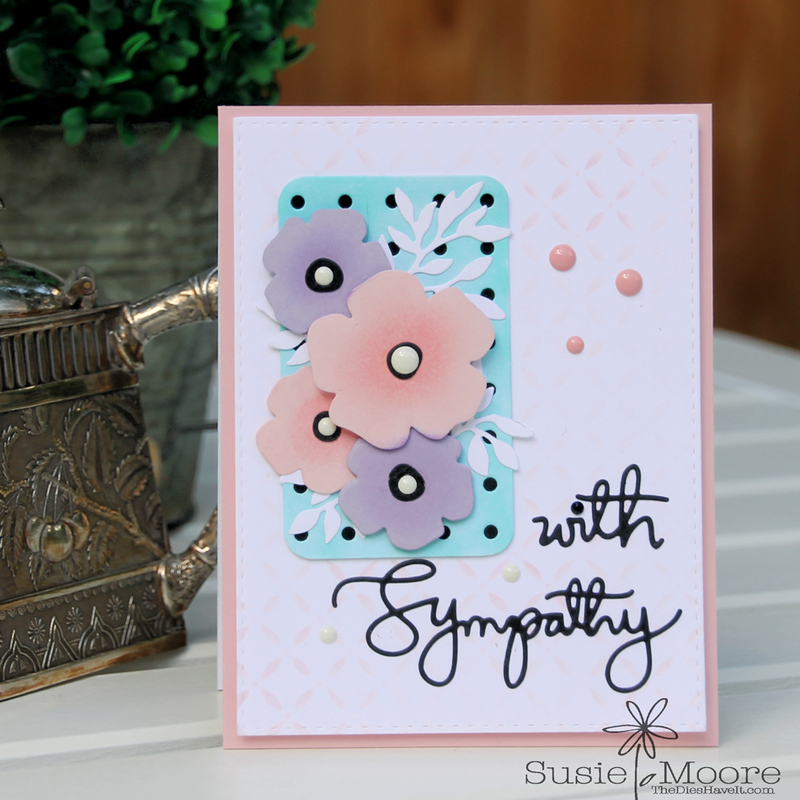 To make my flowers and leaves, I used the Simon Says Stamp Forget Me Not dies. I cut the flowers from colored card stock and the leaves from white card stock. I added just a little bit of shading to the flowers using inks from Gina K. Designs. Arranging the elements is always challenging for me, but I think it turned out alright. I added a few enamel dots to finish my card.